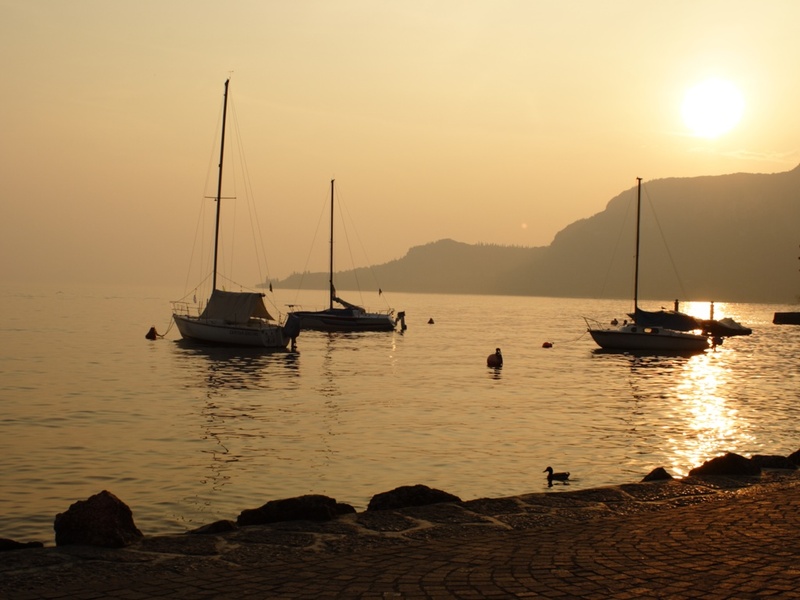 Holidays in Gardone Riviera ↔ Discover Lake Garda! Historic villas and hotels give the centre and the surrounding area a distinctive flair. 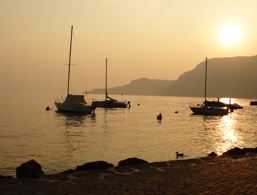 The tranquil village of Gardone Riviera is located on the western shore of Lake Garda between Toscolano Maderno and Saló. 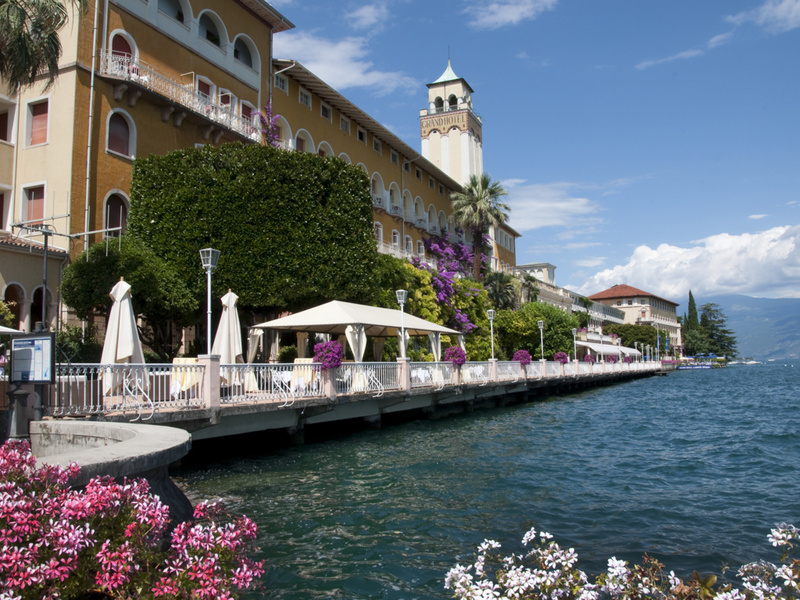 In addition to all the leisure activities that Lake Garda offers, here you will find above all, peace and cosiness. 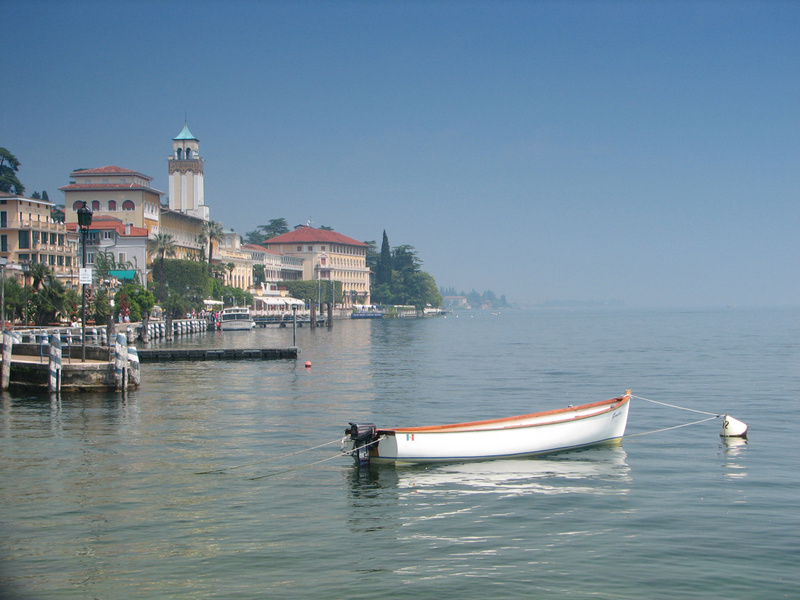 Gardone Riviera is one of those places around Lake Garda that mass tourism has not yet discovered. Even in the peak season, you will always find a cosy place to enjoy ice-cream or coffee, and you can easily make your way through the shopping streets. Gardone Riviera is part of the "Parco Regionale dell'Alto Garda Bresciano" Nature Park and is, therefore, a valued tourist destination for those looking for rest and relaxation, without having to give up all the opportunities that Lake Garda offers. The streets in the historic centre are lined with beautiful magnolias, cypresses, jasmine bushes and oleanders and the city's parks are ideal for spending some pleasant hours in the shade of the trees. Manorial houses, palaces and time-honoured hotels bear witness to the former glory of the town, which in the past, has attracted travellers from all over the world. 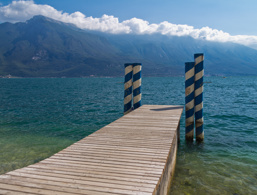 Gardone Riviera had already been a poplar holiday destination in the past. 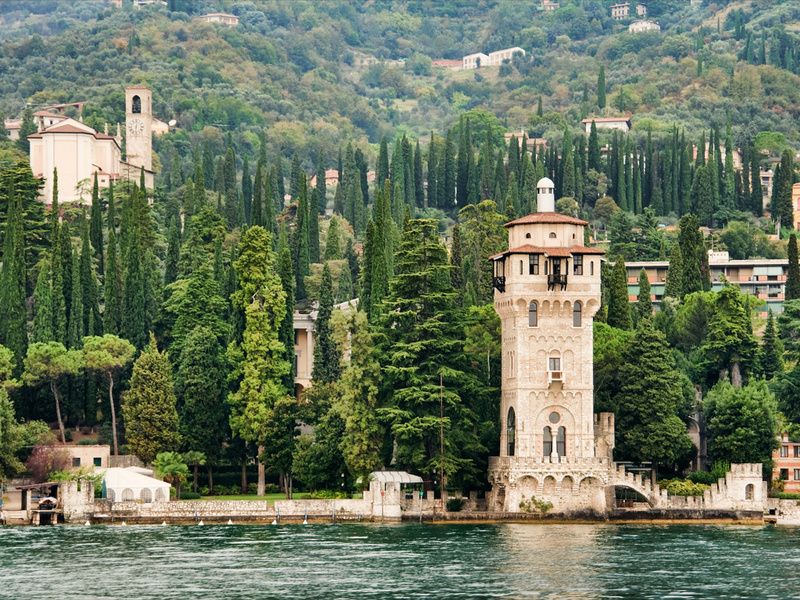 Built by Gabriele d'Annunzio (1863-1938), who spent here the last years of his life. Initially, the botanical garden did not differ significantly from the many beautiful green areas of the region until the Austrian artist André Heller decided to buy it and make something special out of it. 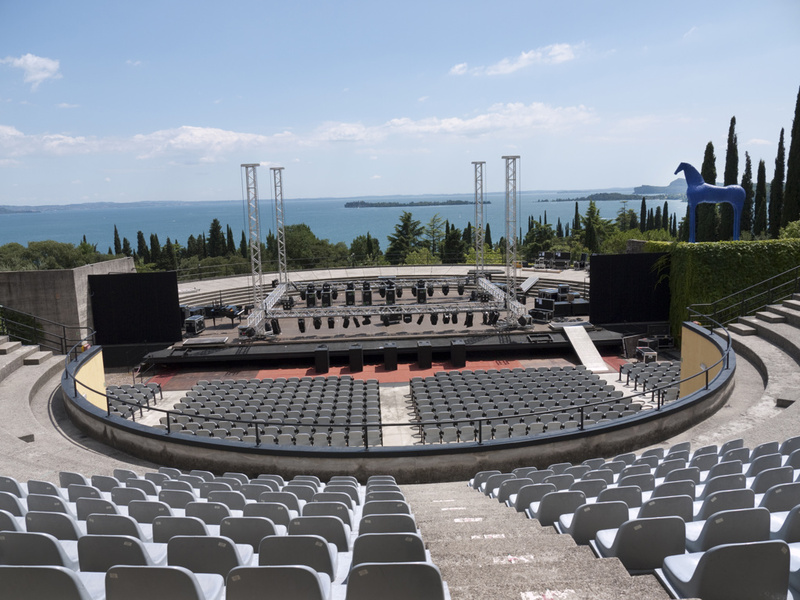 Today you can hear the sound of the water flowing between the gigantic trees, and in some hidden corners there are modern sculptures by Keith Haring or Mimmo Paladino. This magnificent neoclassical building is an essential congressional centre. It was built in the first years of the 20th century, and the design by the German architect Schäfer was based on the Acropolis of Athens. 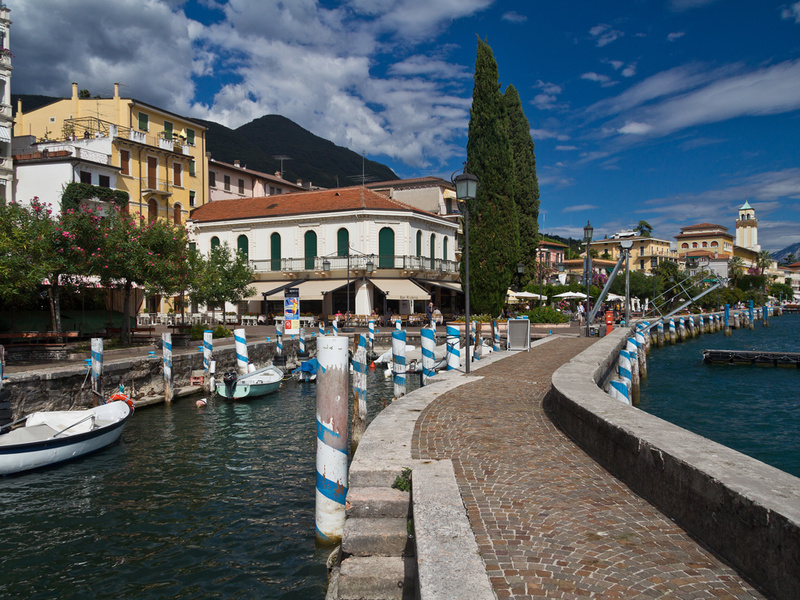 At the harbour basin of Gardone Riviera, stands the tower of Saint Marco, where D'Annunzio used his famous motorboat. 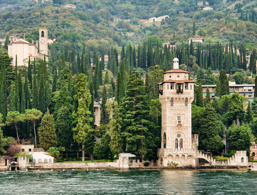 Next to it is Villa Fiordaliso, which was once home to Mussolini's lover, Claretta Petacci. 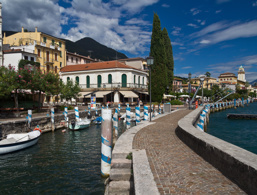 The old district of Gardone di Sopra is nestled in a hilly green landscape on the shores of the lake. The 18th-century parish church has an even older little church where frescoes dating back to the 16th century depict Saint Nicola. Gabriele D'Annunzio, one of the greatest Italian writers of the 19th and 20th centuries, spent the last years of his life in Gardone Riviera. "Vittoriale degli Italiani" means “The shrine of Italian victories” and designates the estate in which the writer lived from 1921 to 1938. 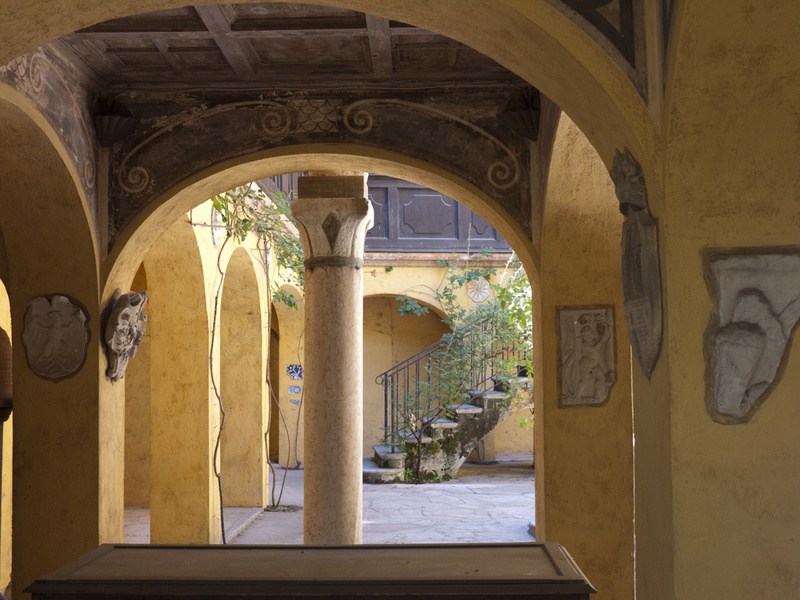 It consists of various buildings, squares, theatres and gardens, most of them designed by architect Giancarlo Maroni. 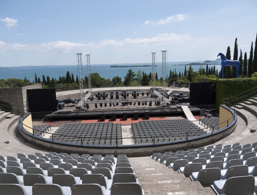 Today, the Vittoriale houses multiple exhibitions on D'Annunzio and contemporary history and is one of the most visited museums in the country.